I had the pleasure of taking some photos for the Ashley Clinton Fire Brigade last weekend for a double gold star presentation, which meant two firefighters were recognised for 25 years of service each. Congratulations – it is an amazing commitment. 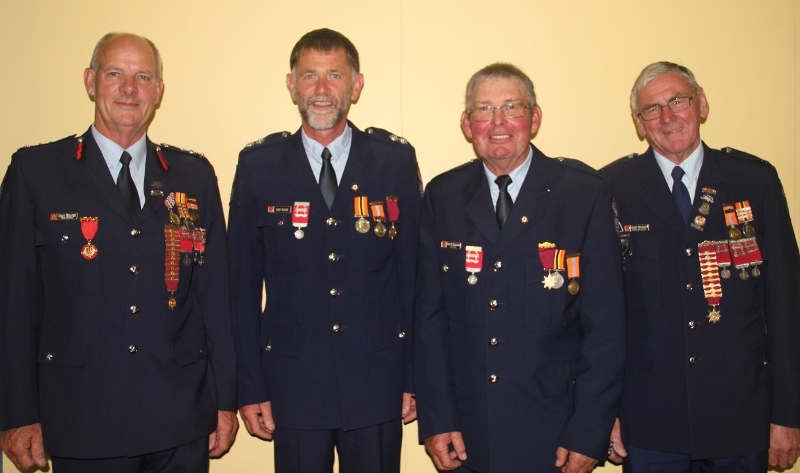 There were four Garys in the room – the most “important” ones were in the middle, second from left Gary Oliver and third from left Garry de Malmanche.